*ahem* Anyway, yes, Nendoroid Minami Kana from Minami-ke is finally announced! The mischevous Kana will be produced by Gift, scheduled for June 2013 and priced at 3800 Yen. 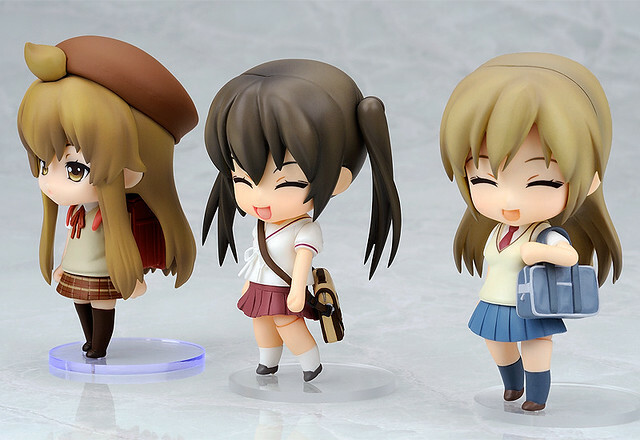 Alongside Kana is Nendoroid Minami Chiaki who is also getting a re-release at the same month, and Nendoroid Minami Haruka who will also be announced shortly. 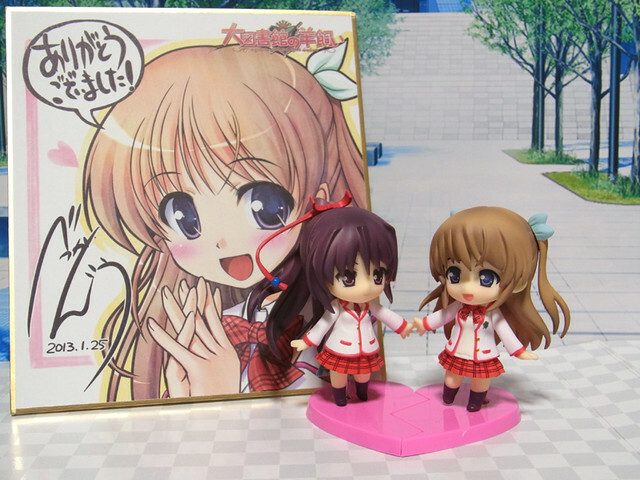 So … are you getting these Nendoroids from Minami family? The witch of Shiroinu hill, in the town of Misaki. 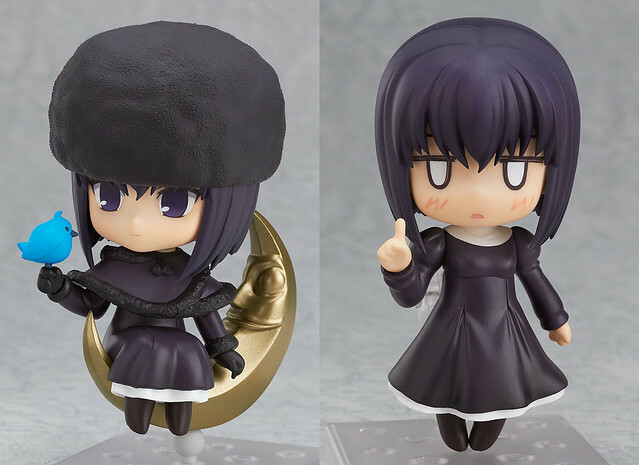 From the visual novel game ‘Mahoutsukai no Yoru’ comes a Nendoroid of the young witch that lives in hiding, Alice Kuonji! 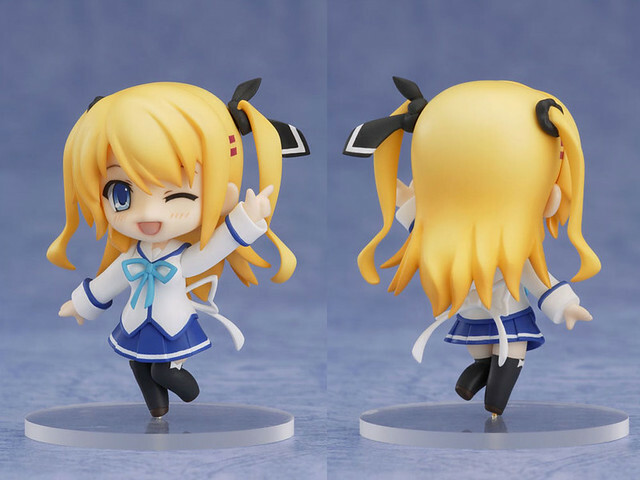 She comes with a number of expressions including her standard relaxed expression, an embarrassed expression and a chibi face that comes from the ‘bonus corner’ found in the game. She also comes with sitting parts and a artistic moon stand that she can sit on. Her little blue bird familiar, ‘Robin’, is also included along with the ‘Diddle Diddle’ bell. Be sure to display her together with the previously released Aoko Aozaki and recreate your favorite scenes from the game! Anyway, Nendoroid Alice Kuonji is scheduled for June 2013 release and priced at 3800 Yen. 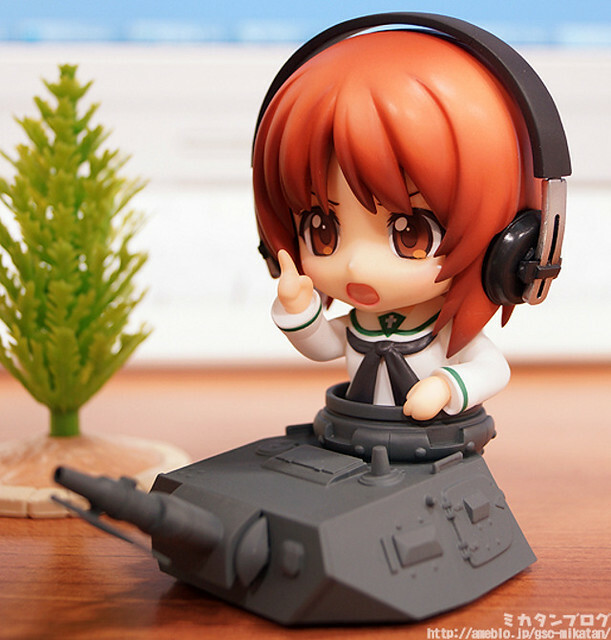 Nendoroid Nishizumi Miho from the series GIRLS und PANZER finally appears in full-colored prototype and she has already undergone Mikatan’s preview treatment. She will bring along her headphone, a binocular, as well as a rideable tank’s turret and gun. However, the trade-off is that she only gets two expressions: normal/smiling and shouting face. A companion 1/35 model kit tank will be available courtesy of PLATZ, and obviously, Miho can ride on the tank as well. More info (and pics) of this Nendoroid can be found on Mikatan’s blog. Oh, and she will be available for pre-order starting on January 29th. 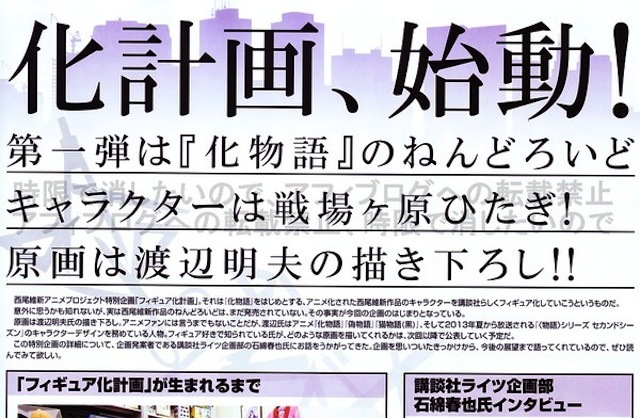 Nendoroid Senjougahara Hitagi is in the Work? 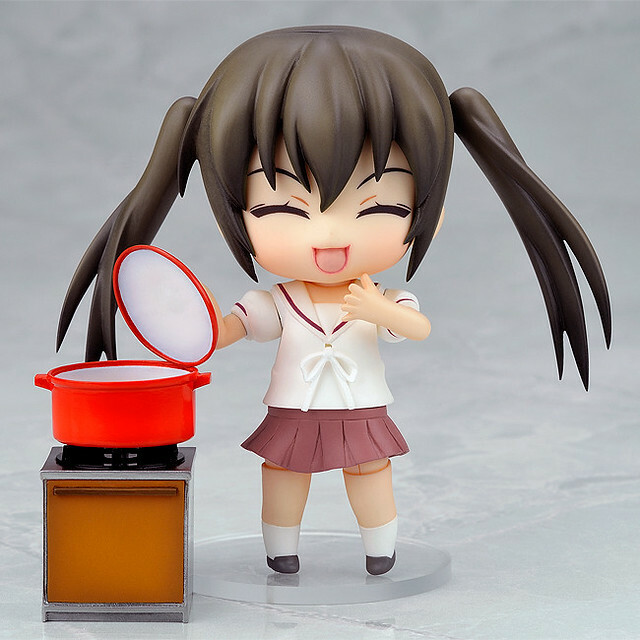 You have probably wondered why GSC has not made any normal-sized Nendoroid from Bakemonogatari series. 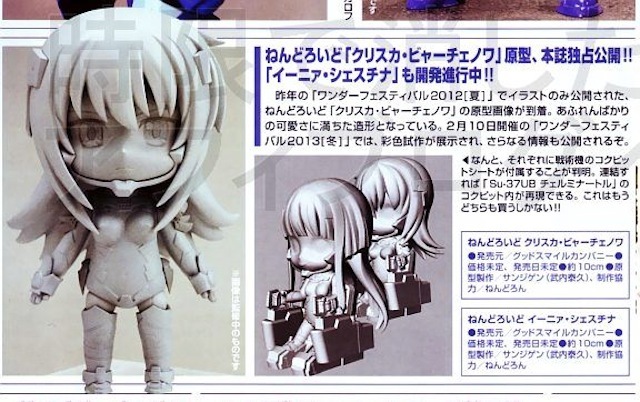 Well, it seems that you can wonder no more, as the first Nendoroid from the series seems to be developed at the moment. I guess this is an old news, but in case you have not known about it yet, well, this should be a good news for D.C (Da Capo) fans. Yep, Nendoroid Petite Morizono Rikka will be bundled with the limited edition of the PSP game D.C.III Plus and this Petite has a unique feature.